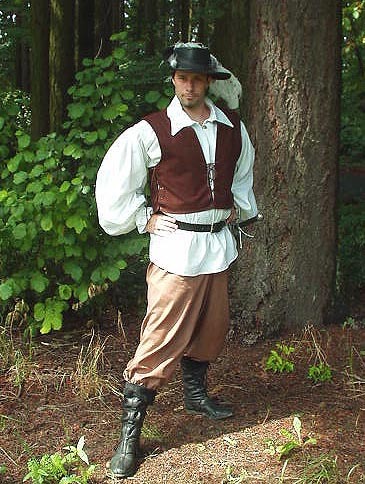 Misty Thicket Clothing: Mens > Renaissance Pants > Jacob's Commoner Trews! 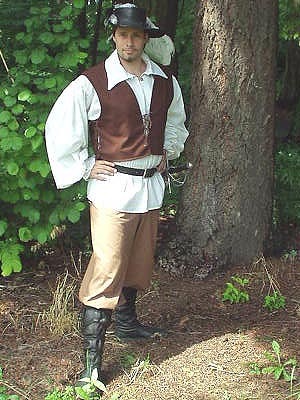 A basic item of every man's wardrobe is Master Jacob's Commoner Pants! 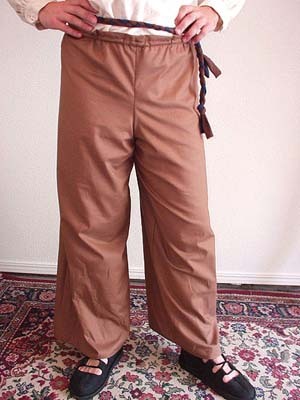 Whether you are farming, fighting, or feasting, these peasant pants are smart and durable and will stand up to every abuse you can dish out. 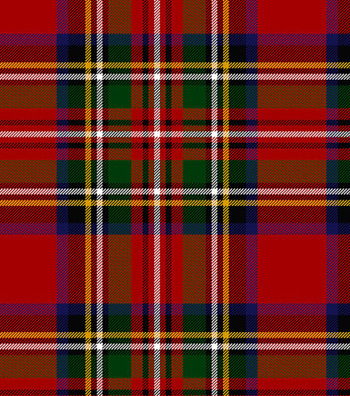 You can wear them over your footwear for common comfort, lace them over your legs, or 'blouse' them into your boots for a 'bout of fighting or a day of riding. The waist is an adjustable drawstring custom tailored to fit any waist. The leg inseam is also available in your size. The legs are a very wide cut for blousing. 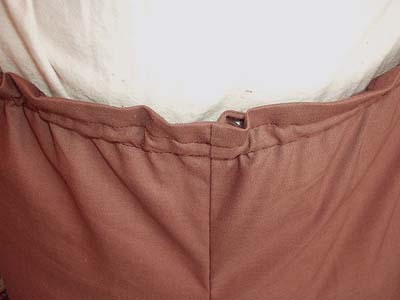 All seams have been professionally finished to provide you with years of wear and tear. The fabric is easy to care for and can simply be machine-washed when needed. 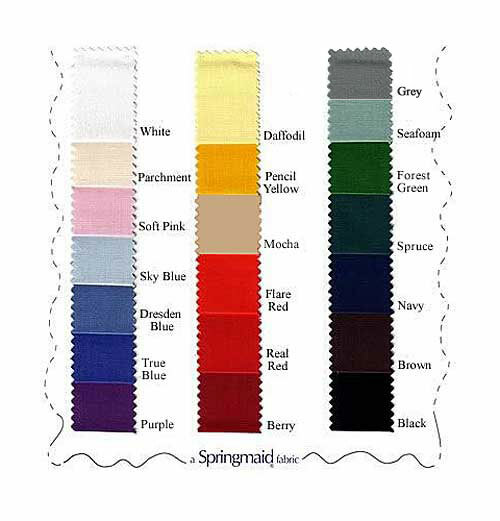 See our swatch card for available colours. Available in Light Cotton, Heavy Cotton, Linen and Twill.